Home » Blog » Leaves are falling, Autumn is calling! 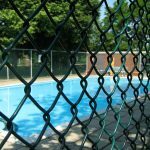 Is Your Pool Securely Covered? We always recommend covering your pool with a properly secured installed safety cover. Safety covers keep debris, leaves, animals, and people out of your pool during the closed season. If your pool is not covered, leaves and debris can stain your surface. If your pool is covered, removing leaves off the cover will help to keep your cover intact, preventing sagging, rot or wear. We recommend using a blower to get the leaves off the cover, as rakes, shovels, and some brooms can increase your chances of tearing or ripping your pool cover. If you live in the Northeast, you know that “Nor’easters” are no fun. The closer you live to the coast, the greater the chances of high winds and flooding rain. When that happens, debris and other items in the yard can easily become airborne and land on your pool or pool cover, and possibly cause damage. If bad weather is predicted, make sure you secure or store outside items that can easily take flight during a storm. Also, always make sure you have a cover pump that it is working, if needed. When used properly, cover pumps used in conjunction with some safety covers will pump standing water off the cover. This will help keep your cover intact and your pool water level where it should be. However, if you do not remove that debris from your cover and it starts to sag, that creates an opportunity for leaves to clog the cover pump keeping it from pumping water off the cover. Pumping out all of your pool water is not a good idea. If your pool is in an area of high water tables (Hello, Jersey Shore Residents! ); your pool could succumb to hydrostatic pressure and float. Also, if you use a tarp cover with water bags (which we do not recommend), any tear in your cover from animals or falling branches can cause the pump to continue to pump water out of the pool from under your cover. So, keep an eye on those pumps. Take advantage of the crisp, fresh air and check on your pool from time to time this autumn. This will help increase your chances of opening up clean, clear and intact this spring. 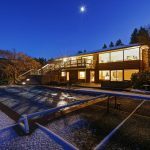 Not interested in thinking about your pool until spring?? Well, we can help!! Call us now to take advantage of our Winter Watch program! During these quick visits we can, monitor your water level, check and add chemicals, and tighten up your pool cover, all while you sit indoors by the fire enjoying the fall weather and dreaming of summer to come!